What will self driving trucks do to the 3 million drivers on the road today? There are more than 3 million truck drivers hauling 70 percent of all the freight tonnage moved in the U.S., and Elon Musk wants to someday replace them with driverless, electric semi-trailer trucks. On Thursday, Musk published his “Master Plan, Part Deux” on the Tesla website, and along with futuristic plans for self-driving cars, buses, and personal pickup trucks, he also gave more information on how he plans to shape the trucking industry. Note Musk’s use of the word “operate” — it seems that his vision for the Tesla Semi still includes a person, although not a traditional driver. Trucker Earl Gooch photographed at Schneider's Harrisburg Operating Center on July 12, 2007 Carlisle, Pennsylvania. Musk already says cars are on track for full autonomy within the next five years, going so far as to say owners will allow Teslas to autonomously drive around like Ubers while their owners weren’t using them. With trucks in development, it’s only a matter of time until they too receive a similar level of driverless technology. A truck load from New York to Los Angeles cost about $4,500 and labor represents 75 percent of the cost. Driverless trucks can operate 24 hours a day, where as laws dictate people truckers can only drive 11 hours with a mandated eight hour break. 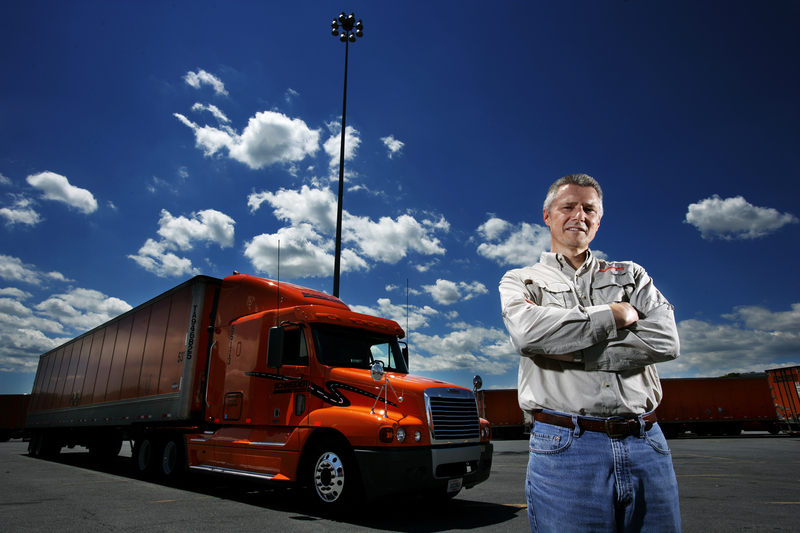 The most fuel efficient speed for semis is 45 mph, and truckers drive much faster than that. Autonomous technology would allow trucks to draft behind other semis and allow for further fuel efficiencies. When there is new technology, working class employees tend to be the victims of a shifting demand in the economy. This causes layoffs, but more distressingly a disappearance of that field of employment altogether, which is certainly possible. We’ve seen this with the long decline of factory job in the U.S. In 1970, a quarter of U.S. employees worked in manufacturing and by 2010 it had declined 15 percent to just 1 in 10 employees. It’s taking place again with the advent of the so-called “gig economy” as contract workers flood to services such as Uber, Taskrabbit, Postmates, and more. All of this is not to say driverless semi trucks are a bad thing, only that it’s difficult to swallow that an industry of three million truck drivers might need to find new uses for their skills in the decades. It’s the same anxiety that the Republican presidential nominee Donald Trump has tapped into when he professes anti-trade and immigration policies. The Nikola One is a competing electric powered semi that doesn't currently feature self-driving features. There’s a lot of room for safety improvements in trucking: In 2014, 3,660 people died in large truck crashes, according to the Insurance Institute for Highway Safety. Of those deaths, 68 percent were passenger car occupants and 16 percent were truck occupants. Before truckers are taken out from the driver’s seat completely, Tesla could do a lot to help prevent some of those deaths. More Tesla passenger cars using the autopilot feature protects all drivers around them, theoretically. A similar feature on semis could help alert drivers to break the recommended 20-40 percent sooner than regular cars, account for bad weather conditions, and even assist with driver fatigue. 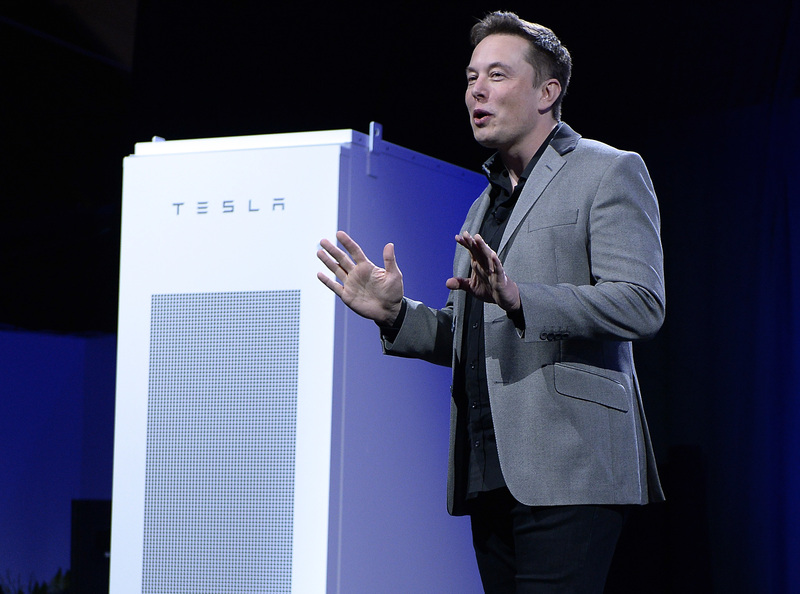 Elon Musk, CEO of Tesla, with a Powerpack unit the background unveils suit of batteries for homes, businesses, and utilities at Tesla Design Studio April 30, 2015 in Hawthorne, California. The silver lining is that the trucking industry still employs 6.8 million people across the industry and not all of them will be replaced with driverless technology. Like Musk’s plan for buses, some drivers may take on a “fleet manager” role — there will also be a continued need to load and unload material, for a while, anyway.